In 2008, the Lord placed a burden on the heart of Mercy Ezekiel Jnr. to gather youth representatives from across the states. 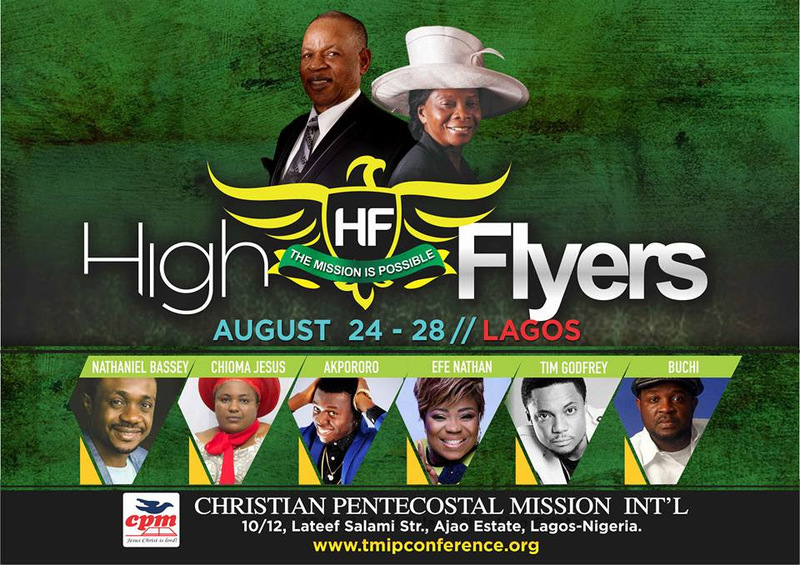 In 2009, the first youth conference was held in the headquarters of Christian Pentecostal Mission Int’l . The next year, over 2000 youths gathered and left the conference filled with the Holy spirit. There has been no stopping ever since. Thousands of young people have traveled from far and wide to be inspired to live for Jesus. The National Youth Conference is a biennial event organised by Christian Pentecostal Mission located in Ajao Estate, Lagos. Its programs include THE MISSION IS POSSIBLE” event, aptly described as a mix of pep rally, hip-hop concert and church service.